Priyanka Chopra : The Ex Miss World is passionate about her work and gives it her best shot. She has transcended boundaries with her singing and released three singles. She is now giving Hollywood a run for their money with her international series Quantico, she has even signed a Hollywood movie, where she’ll be playing the negative lead. At the same time she continues to charm her Indian fans with films like Mary Kom, Dil Dhadakne Do and Bajirao Mastani. Deepika Padukone : Daughter of ace Badminton player Prakash Padukone, Deepika is currently enjoying the status of being the number one heroine of Bollywood delivering hits one after another be it Yeh Jawaani Hai Deewani, Chennai Express or Goliyon Ki Raasleela Ram-Leela, Piku or her period drama Bajirao Mastani she has gone from strength to strength and stood shoulder to shoulder with her male counterparts. And now she’s taking her talent to the international platform with a Hollywood film with Vin Diesel. Aishwarya Rai : Ex Miss World won her fans with her oomph in the TV commercial at the age of 18. Today a mother of a three year old she still continues to be a favorite among her fans. With films like Jodhaa Akbar, Guzaarish, and now Jazbaa she continues to enthrall her fans with her acting. Kareena Kapoor : She is feisty yet vulnerable at the same time. She minces no words when she has to say something yet she has a humongous fan following. The Kapoor girl has been very open about her life and relationships. In the recent past she has had hits like Talaash , Gabbar is Back and Bajrangi Bhaijaan. 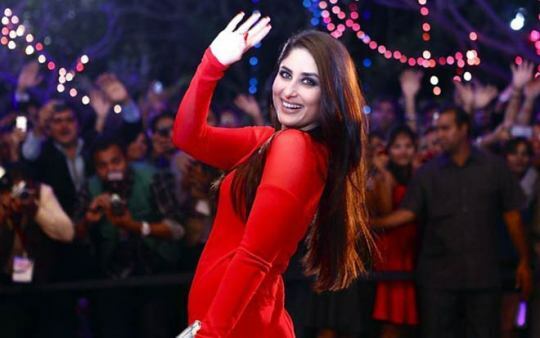 She is now looking forward to Balki’s Ki and Ka opposite Arjun Kapoor. Katrina Kaif : She stands on the pinnacle of success today but her journey has not been a smooth one. She has been known as the most sexiest and most searched celebrity on Google. She has also been immortalized into a Barbie Doll image. She has delivered blockbusters like, Dhoom 3 and Bang Bang in the past. Her latest film Fitoor, may not have been tagged as a blockbuster but her acting has won her many laurels.